Margaret Adams was born on 21 July 1855 in Parish of St. Cuthbert's, Edinburgh, Midlothian, Scotland, at 4 East James Street. She was baptized/christened on 12 August 1855 in Edinburgh, Midlothian, Scotland, by the Rev'd Mr. Davi(d)son, Dean Street Church. Hugh Adams and Barbara Lyall, accompanied by Margaret Adams, Isabella Adams, departed on 13 May 1857 from Scotland departing Glasgow on the Glasgow & New York Steam Navigation Company Steamship Glasgow. Hugh Adams and Barbara Lyall arrived in the Port of New York on 29 May 1857, accompanied by Margaret Adams, Barbara Mill Adams and Isabella Adams and the family went on from there to Canada. Hugh Adams and Barbara Lyall appeared in the 14 January 1861 provincial census of "Canada" in Toronto, York County, Canada West (later Ontario), at Sayre Street, St. John's Ward. Other members of the household included Margaret Adams, Isabella Adams, William Phillip Adams and William Adams. It seems very likely that servant William Adams (age 25) is Hugh's brother William, enumerated as a five-year-old in the family's 1841 household. Hugh Adams and Barbara Lyall arrived in Buffalo, Erie County, New York, circa 1863, accompanied by Margaret Adams, Isabella Adams, William Phillip Adams and Barbara T. Adams. Hugh Adams and Barbara Lyall appeared in the New York state census of 1 June 1865 in Buffalo, New York. Other members of the household included Margaret Adams, Isabella Adams, William Phillip Adams and Barbara T. Adams. Margaret Adams is not enumerated in the Buffalo household of her mother and step-father David Harwood in the 1870 census. Barbara Lyall appeared in the New York state census of 1 June 1875 in Buffalo, New York. Other members of the household included Margaret Adams, Isabella Adams, William Phillip Adams, Barbara T. Adams, Anna Adams, John L. Harwood and Lyall Harwood. And David Harwood is enumerated in a boarding house elsewhere in Buffalo. A tintype photograph of Margaret Adams has been treasured by her family down through the years. 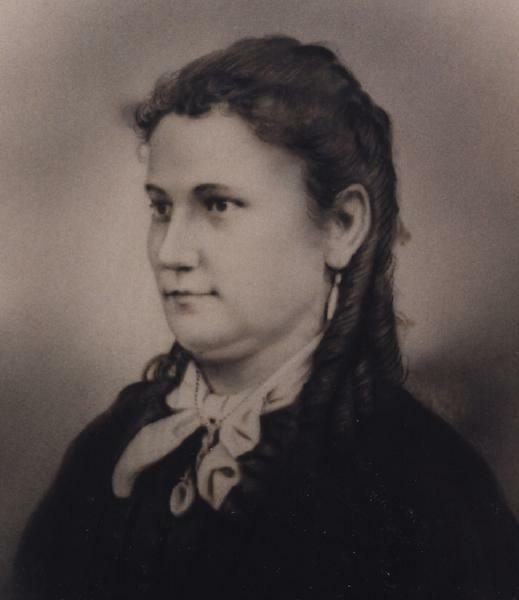 She married Robert Thomas Wilson, son of Peter M. Wilson and Margaret Simpson, on 27 November 1878 in Buffalo, New York, with William Alfred Gay, Gospel Minister, officiating. The marriage was witnessed by Peter M. Wilson and Margaret Simpson. Robert Thomas Wilson and Margaret Adams appeared in the US federal census of 1 June 1880 in Buffalo, Erie County, New York, at 585 Main Street. Other members of the household included Margaret L. Wilson, Barbara Lyall and William A. Harwood. Margaret's young half- brothers Lyall and John were enumerated in the Buffalo Protestant Orphan Asylum, and her sisters Barbara and Anna as servants in the household of Oliver Real. Robert Thomas Wilson and Margaret Adams appeared in the New York state census of 16 February 1892 in Boston, Erie County, New York. Other members of the household included Margaret L. Wilson, Hugh Wilson, Agnes V. Wilson and Peter MacIntosh Wilson. Also in the household was Archie Walker, age 17. Margaret Adams died on 5 May 1900 at age 44 in Newfane, Niagara County, New York, having resided there for ninety days, of pulmonary tuberculosis, according to her death record. Robert Thomas Wilson became a widower at her death. She was interred at Olcott, Niagara County, New York, according to her death record, but her precise place of burial has yet to be found. Research Note: Second cousins Margaret Adam(s) and Janet Alexander Adam(s) left their homes in Midlothian during the 1850s, Janet's family to Australia in 1853, and Margaret's family to Canada, then the United States, in 1857. In 1901, Janet Alexander Adams Titmarsh wrote an account of her life for her children and grandchildren.